ringside At "Mayweather VS Pacquiao" presented by SHOWTIME PPV And HBO PPV at MGM Grand Garden Arena on May 2, 2015 in Las Vegas, Nevada. In January 2016, as the Kazakh econ­o­my was reel­ing from falling oil prices, its cur­ren­cy lost more than half its val­ue. To meet the needs of the country’s social pro­grams for the rest of the year, the gov­ern­ment would need to use at least 12 per­cent of the National Fund, a hefty reserve fund of near­ly US$ 62 bil­lion earned from oil, gas and met­als. President-for-life Nursultan Nazarbayev, who has run this oil-rich coun­try since 1989, appealed to the country’s rich and famous for help. Nazarbayev blunt­ly called on the rich to repa­tri­ate their mon­ey squir­reled away in off­shore accounts. “We’ve raised many rich peo­ple: bil­lion­aires, mil­lion­aires. They are show­ing off; (their) pic­tures in Forbes… They look good, with make­up, well-groomed, well-dressed. But it is Kazakhstan that enabled you to earn all this mon­ey… Bring the mon­ey here. We’ll for­give you,” said Nazarbayev, not­ing that peo­ple couldn’t hide because his gov­ern­ment had agree­ments to exchange finan­cial infor­ma­tion with most of the world’s coun­tries. However, doc­u­ments obtained by OCCRP show that mem­bers of the Nazarbayev fam­i­ly were reg­u­lar users of these same tax havens. One of the biggest leaks in jour­nal­is­tic his­to­ry reveals the secre­tive off­shore com­pa­nies used to hide wealth, evade tax­es and com­mit fraud by the world’s dic­ta­tors, busi­ness tycoons and crim­i­nals. The doc­u­ments, dubbed the Panama Papers, are inter­nal records from an off­shore com­pa­nies’ reg­is­trar called Mossack Fonseca. They were received by the German pub­li­ca­tion Süddeutsche Zeitung and shared with col­leagues from the International Consortium of Investigative Journalists (ICIJ) and the Organized Crime and Corruption Reporting Project (OCCRP). Aliyev owned two com­pa­nies reg­is­tered in the British Virgin Islands, one of the world’s least trans­par­ent off­shore des­ti­na­tions, and used the off­shores for oper­at­ing a bank account and a lux­u­ry yacht. Aliyev did not respond to joint OCCRP and ICIJ request for com­ments by the pub­li­ca­tion date. 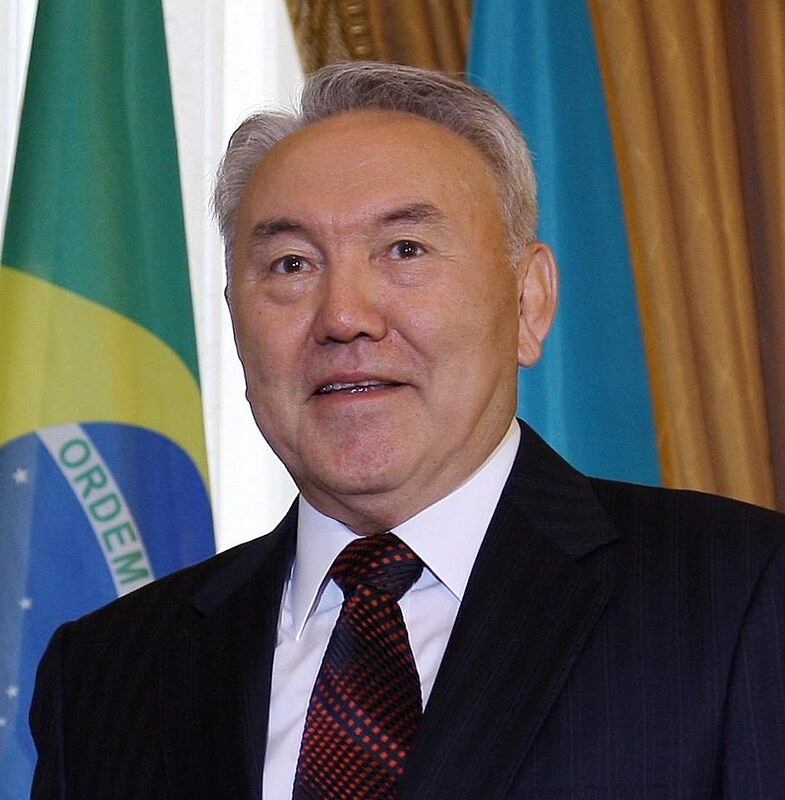 Nazarbayev’s point­ed “we’ve raised many rich peo­ple” speech could have eas­i­ly been writ­ten for his grand­son Nurali Aliyev, a man who has used his family’s wealth and polit­i­cal con­nec­tions to suc­ceed. According to his offi­cial biog­ra­phy, at the age of 19 in 2004 he became the pres­i­dent of Kazakhstan’s lead­ing sug­ar pro­duc­er, Sakharnyi Tsentr, which was wide­ly report­ed to be owned by his father, Rakhat Aliyev. Rakhat Aliyev, Nazarbayev’s son-in-law, was a major insid­er in Kazakhstan pol­i­tics for years and filled many roles, includ­ing chief of Kazakhstan’s tax police, deputy chief of the state intel­li­gence ser­vice, vice for­eign min­is­ter and ambas­sador. At the same time, he indi­rect­ly owned or con­trolled com­pa­nies in the media, bank­ing and agri­cul­ture indus­tries. But in 2007 he had a falling out with the pres­i­dent. He left the coun­try and Kazakh author­i­ties charged him with order­ing the mur­der of Kazakh oppo­si­tion leader, Altynbek Sarsenbayev, and two cas­es of kid­nap­ping, charges that a US Department of State cable called per­son­al­ly sanc­tioned by the pres­i­dent. Aliyev claimed the charges were polit­i­cal­ly moti­vat­ed because of his activ­i­ties against the pres­i­dent. In February of 2015, Rakhat Aliyev was found hanged in an Austrian jail cell, where he was being held in pre-trail deten­tion on mur­der charges. Nurali Aliyev, how­ev­er, had no such quar­rel with his grand­fa­ther and even­tu­al­ly assumed his father’s wealth and stand­ing. In 2006, he became deputy head of Nurbank, at the time one of the country’s largest banks, and in 2007 he and his moth­er became share­hold­ers and Aliyev became head of Nurbank. In December of 2008, on the eve of his 24th birth­day, Nurali Aliyev became deputy chair­man of the Development Bank of Kazakhstan, a state-owned finan­cial insti­tu­tion, serv­ing as an invest­ment fund to help grow and mod­ern­ize the non-ener­gy sec­tors of the econ­o­my. It has a cur­rent loan port­fo­lio exceed­ing US $ 4 bil­lion. A year lat­er, Forbes esti­mat­ed his for­tune at US$ 200 mil­lion and ranked Aliyev the 32nd rich­est per­son in the coun­try. But then, some­thing changed. Whether due to the shock­ing dis­play of wealth by a state offi­cial or Nazarbayev get­ting annoyed by his grandson’s promi­nent posi­tion on such a list, Aliyev dis­ap­peared from the Forbes rank­ings of the rich­est after 2013 and nev­er showed up again. In December of 2014, Aliyev, then 29, had been appoint­ed a deputy may­or of Astana, the nation’s cap­i­tal. He report­ed­ly resigned from the deputy mayor’s job last month. 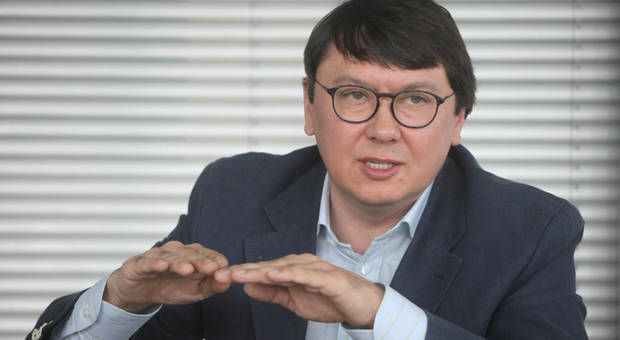 As of March 28, after OCCRP called, his pro­file dis­ap­peared from the city offi­cials’ sec­tion of the Astana office of the mayor’s web­site. The Panama Papers show that on Sep. 15, 2014, a com­pa­ny called Alba International Holdings, reg­is­tered in the British Virgin Islands (BVI), got a new own­er. Alba International was a “shelf com­pa­ny,” a com­pa­ny that does noth­ing after its cre­ation, “sit­ting on a shelf” until it is need­ed. Shelf com­pa­nies are typ­i­cal­ly cre­at­ed to save time when clients need to shift mon­ey or assets rapid­ly between a num­ber of com­pa­nies, or to allow an own­er to appear to be a long-estab­lished busi­ness when apply­ing for loans and cred­its or when seek­ing investors. Alba’s new own­er was anoth­er BVI com­pa­ny named Invigorate Group, about which noth­ing more is known. The Alba International file, how­ev­er, includes infor­ma­tion on its ulti­mate ben­e­fi­cial own­er, the per­son who actu­al­ly owns the com­pa­ny. From the name, date of birth and pho­to pro­vid­ed in the files, it is clear­ly Nazarbayev’s grand­son. The file describes Alba International’s activ­i­ties sim­ply as “hold­ing a bank account in Cyprus,” anoth­er off­shore tax haven. At about the same time, the Mossack Fonseca com­pli­ance depart­ment required an “enhanced due dili­gence process” for the com­pa­ny due to Aliyev’s job as a deputy may­or and the pos­si­bil­i­ty of the exis­tence of a con­flict of inter­est. 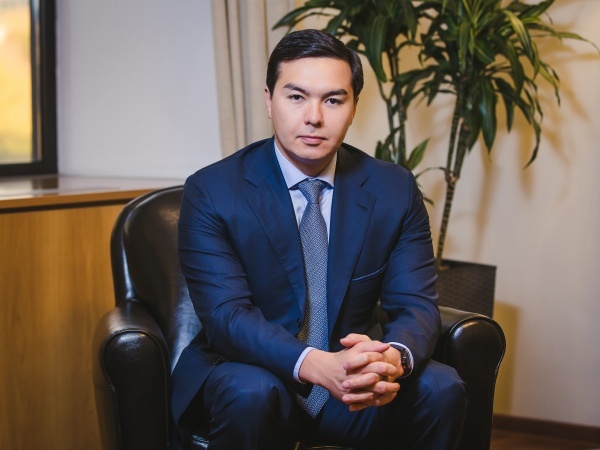 Alba International is head­ed by 33-year-old Askar Tarabayev, a Kazakh native who, accord­ing to the fil­ings, lives in Dubai where he serves as a legal rep­re­sen­ta­tive of the Dubai-based KZ Capital General Trading LLC, which is engaged in whole­sale and retail trade. United Kingdom (UK) com­pa­ny records ana­lyzed by OCCRP show that in 2013, Tarabayev served as a direc­tor in the UK-reg­is­tered Finesse Executive Ltd. along­side Mukhamed-Ali Kurmanbayev, an offi­cer in numer­ous UK and BVI com­pa­nies con­trolled by Aliyev. Tarabayev is the son of Baltash Tarabayev, the for­mer deputy chair­man of the state-owned Agrarian Credit Corporation, which issues sub­si­dized loans to Kazakh agribusi­ness­es. In April, 2011, Baltash Tarabayev was arrest­ed and charged with “fraud, decep­tion, abuse of trust and abuse of office” for alleged­ly extort­ing an agri­cul­ture com­pa­ny that was seek­ing a US$ 850,000 loan by forc­ing it to give him an apart­ment worth near­ly US$ 170,000. The court sen­tenced him to a five-year sus­pend­ed sen­tence. An appeals court lat­er reversed the sus­pen­sion, mean­ing Baltash Tarabayev would have to serve the five years, but the Supreme Court agreed to review that deci­sion because Tarabayev returned the mon­ey to the firm. Another notable trans­ac­tion that Nazarbayev’s grand­son seems to have tried to shield from pub­lic scruti­ny is the pur­chase of a lux­u­ry yacht. On April 9, 2008, Baltimore Alliance Inc., a three-month-old BVI com­pa­ny, bought a 23-meter-long motor yacht described as Astondoa A-76– via a loan. The yacht appears to have been new, as it was built by Astilleros Astondoa S.A., Spain, in 2008. Though the price was not men­tioned in the orig­i­nal bill of sale, an iden­ti­cal used yacht sells for about US$ 1.8 mil­lion.  The Mossack Fonseca doc­u­ments show that Aliyev picked the name him­self: Nomad. The yacht was reg­is­tered with the BVI Registrar of Ships on June 11, 2008. On the same day, Aliyev’s name was entered into the reg­is­ter of share­hold­ers, with the request sub­mit­ted by Kurmanbayev, who appears reg­u­lar­ly in Aliyev-linked off­shore com­pa­nies. Yet it looks like Aliyev nev­er got to enjoy his new toy. On Nov. 20, 2008, the Valencia-based com­pa­ny OPTI Thermal hired Worldwide Shipping Ltd. to trans­port Nomad from the Italian port of Genoa to Jebel Ali in the United Arab Emirates via the car­go ship Emilie K reg­is­tered in the tiny Caribbean nation of Antigua and Barbuda. But due to bad weath­er, the yacht’s cra­dle col­lapsed and the lash­ing broke, caus­ing Nomad to slip on its star­board side, which bad­ly dam­aged the boat. The cap­tain of the Emilie-K had to stop at the Italian port of Civitavecchia near Rome. He tried to con­tact the ship­ping com­pa­ny for fur­ther instruc­tions but got no response in 17 days, so he offloaded the boat in the Italian port. Worldwide Shipping esti­mat­ed the dam­ages at near­ly US$ 355,000 plus addi­tion­al dai­ly stor­age fees and filed a peti­tion against Baltimore Alliance ask­ing that the Nomad be held until all mon­ey was set­tled (called a con­ser­v­a­tive arrest in ship­ping par­lance). According to the peti­tion, the Nomad was insured for € 2 mil­lion (US$ 2.26 mil­lion). The seizure was sup­port­ed by the court, but then revoked after Baltimore Alliance appealed the move. While the court case against the Baltimore Alliance was devel­op­ing, Aliyev decid­ed to unload his shares in the com­pa­ny. On Feb. 11, 2009, he trans­ferred his 1,000 shares to yet anoth­er BVI-reg­is­tered com­pa­ny, Schneider System Ltd. On the same date, the rest of the shares, 10,111, were trans­ferred to Greatex Trade and Invest Corp., yet one more BVI com­pa­ny. According to Global Witness’ Mystery on Baker Street report, Greatex Trade and Invest Corp. held oth­er com­pa­nies that con­trolled and man­aged a £ 147-mil­lion (US $212 mil­lion) London prop­er­ty empire that is con­nect­ed to Nurali Aliyev through Kurmanbayev who appears with him on oth­er com­pa­nies includ­ing Baltimore Alliance Inc.
A pos­si­ble expla­na­tion for the move could be that around the same time, Aliyev assumed the offi­cial state job at the Development Bank of Kazakhstan and may have sought to keep his name from com­ing out in a law­suit regard­ing the yacht. In 2011, Aliyev decid­ed to sell the dam­aged yacht. According to the Deed of Assignment, Greatex Trade and Invest Corp. was the only share­hold­er and ulti­mate ben­e­fi­cia­ry of Baltimore Alliance Inc.